Nissa breaks for the cave and the drakes immediately swoop in down to attack. One of them manages to grab hold of her but her trusty stem sword takes care of that and soon enough Nissa is back on the ground and heading on in to the cave entrance. Anowon and Sorin aren't far behind. Anowon lights the way with another of his spell teeth, and the light reveals some etchings in the walls that he cannot decipher. "We left these lines," Sorin said. 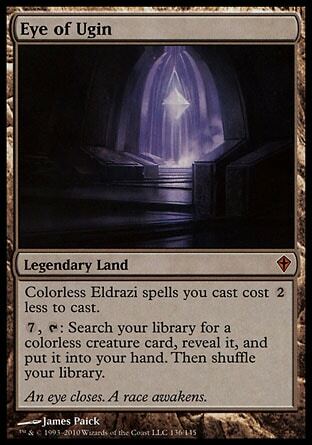 "When we imprisoned the Eldrazi for the second time. They talk about the crimes committed against the planes." Anowon blinked as he considered what Sorin had said. "The Eldrazi were imprisoned more than once?" "They were imprisoned on another occasion, before my time," Sorin said. "Even I am not that old." Mudheel appears and when asked where Smara is, he only gives them a shrug. However, when Nissa says they should get going towards the eye, he says they shouldn't go there because that's where his mistress is. Sorin doesn't particularly care about Smara and is here to complete his mission, but Mudheel warns them that Smara will be quite angry and that she can be cruel when she's angry. They move towards the Eye of Ugin anyway, and eventually Nissa can hear the footsteps of Mudheel as he follows after. The walk goes on for several hours until they start seeing a bluish glow that grows brighter the deeper they head into the cavern. The rock on either side of them began to slope downward, until they entered a huge carved cavern with no floor Nissa could see. Many thin causeways of chiseled basalt zigzagged at different levels across the deep chasm and trailed to a tunnel filled with blue light on the far side of the cavern. Multiple levels of stairs and paths joined the chiseled basalt causeways. The middle of the immense chamber was littered with debris, some of it scorched. But the lack of a floor was not the feature that caused Nissa’s heart to start beating fast. Hedrons floating in the air and pointing at skewed angles. In the middle of the chamber many hedron sat side to side and piled on one another, but they all seemed to be pointing loosely at the tunnel on the far side of the cavern. It was as if a great magnet had pulled them into place. Sorin leads the way from here and they enter room after room, until they reach the true entrance to the Eye of Ugin . He tells them that he will speak for the group and then he will sing the containment spell back to full strength. They're to remain silent. They run past the drakes. Go into the eye. They see Mudheel. They walk for hours. At the center they see Smara pounding away at a hedron stone. Sorin casts a spell with his eyes closed. Smara attacks Sorin. Nissa attacks the stone. The Eldrazi awaken. Nissa asks if he really has to do that and Sorin insists that it's necessary. If he doesn't, the Eldrazi will scream their way free and eat Zendikar itself. The eerie distant screaming sound that's in the air are the Eldrazi themselves, in a relentless act of slowly breaking away at their prison. Ugin maintains the spell, and while the Eldrazi aren't supposed to be able to break free, outside intervention has made all this necessary. Anowon adds his voice to Nissa's and says they don't want the Eldrazi to remain on Zendikar. He insists that Sorin is lying to them and that he knows the Eldrazi will just leave their plane if freed. Sorin insists that's not true, that the abundance of mana is exactly what the Eldrzai lust after, but Anowon pushes the issue. "They will leave," Anowon said. “How can you?” Nissa turned to look at Anowon. It was a good question, she thought. How could he know? Anowon says he knows because he read it. Sorin just sighs and tells them while it's true there are some side effects to the spell, mana of Zendikar has always been wild. It doesn't help that the hedrons are devices that they created long ago to condense mana to keep maintain the strength of the containment spell. But Sorin is done arguing. He commands them to not interfere in a voice that sends a pain through their bodies that keeps them from acting, and he turns to face the stone face of a dragon and begins singing his spell. Nissa notices Smara far off by the dragon head, pounding away at a hedron stone with her fists. 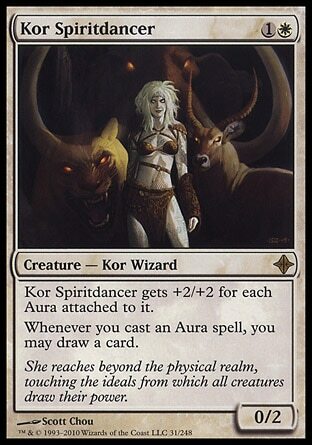 The wild looking kor is surprised at the effects of Sorin's spell and falls off. With Sorin's eyes closed as he concentrates on his spell, she comes running up the stairs and causeways and now it's her to surprise him as she crashes into him. Her attack is enough to free Nissa from her paralysis, and she runs towards that same hedron that Smara was attacking while he's distracted. There is a loud pop behind her and she knows Smara is no more and she knows there are only a few brief moments for her to act. Nissa takes her staff and strikes it with a seed stone spell. All for Zendikar, she thought as she sank back, expecting the blow from behind. All for the forest. The brilliant stars and the face of the moon. Nissa waits for her inevitable death, but when she turns she sees that Sorin once again has his eyes closed and is continuing his spell. Her's completes first. There's a small crack in the stone that grows wider and wider until leaves start springing forth from it. The stone shatters and falls to the ground. Sorin's efforts magnify but it's clear that he can't undo what she's just done. "Well," Sorin said, clapping his hands together. "This is my queue to leave. You, my dear fools, can deal with the consequences. They will be far worse than anything I can do to you." The vampire brushed a hand down his tunic, and Nissa turned her attention back to the broken hedron. The cavern itself begins to shake and parts of the ceiling come crashing down. Nissa senses Anowon approach and she asks him what they're to do now. He remains silent and just stand at the edge of a causeway and look down into the endless darkness below. Sorin is intriguing. Who are these people that helped seal them away the first time? He's gone and it looks like we're not going to be told that which is quite frustrating. Although I do kind of like that he's done with them. He's finally realized what an idiot Nissa is and how that's not a good thing. He was just there to help their plane and they spit in his face so now they'll have to deal with the consequences. Seriously? Nissa is all convinced that Anowon is right... until Sorin asks the obvious question of how he can possibly believe that the Eldrazi will just leave... then she turns a 180 and all of a sudden flips to Sorin's side, only to flip back again and trust in Anowon completely. Was this meant to the reader's point of view, because it just looked like Nissa is unable to come up with thoughts of her own and just agrees to whoever is talking at the moment. 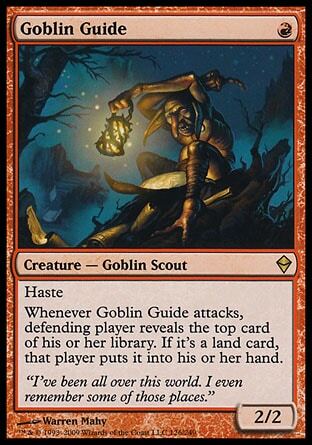 Maybe I'm reading this all wrong, and that Nissa is supposed to look like an idiot to the readers. Maybe that is a part of her character and that justifies why she is the one that frees the Eldrazi. You can't blame her, she's an idiot. It's all Sorin's fault. He knew she was an idiot from the beginning and he just brought her along to boost his ego. He needed someone along to show off how he can just command a vampire to do his will and he needed someone dumb nearby so he could feel intellectually superior. And because of his vanity Zendikar is doomed! Remember. It's all Sorin's fault. I feel like I should mention it because she's gone now, but really she didn't really do much besides scream that "It's in the loam," which it turns out doesn't really mean anything at all. 1. a rich, friable soil containing a relatively equal mixture of sand and silt and a somewhat smaller proportion of clay. 2. a mixture of clay, sand, straw, etc., used in making molds for founding and in plastering walls, stopping holes, etc. 4. Obsolete. clay or clayey earth.